An ecommerce platform, or ecommerce software, is a solution for websites to run an online store including all the necessary features for a customer to buy products online. The best eCommerce software comes with expanded features to help run an online business and build a full website, like extra content pages for company information and other content, a blogging platform, and essential marketing features. Several types of eCommerce automation tools are also included in the best shopping cart software, some to make it easier for the store owner to process customer orders, and others for creating promotions. For example, scheduled email newsletters have shown results indicating that they're among the best marketing automation for eCommerce, so the most powerful online shopping cart software will include this feature. Hosted eCommerce software, or Software-as-a-Service (SaaS) is the most convenient and cost-effective type to use, as it brings everything you need to run your online store together: shopping cart software, web hosting, security, and often support. This means you won't have to find solutions on your own and pay for them separately — which saves money even over free ecommerce solutions. Monthly plans from $14.99/mo. – $69.99/mo. Users report significant problems canceling their services. Monthly plans from $59/mo. – $249/mo. Support charges. Transaction fees from 0.75% – 1.25% depending on plan. Plans are billed on 4-week cycle, not by month, resulting in shifting billing date and 13 charges per year. Monthly plans from £99/mo. – £1,999/mo. Monthly plans from $24.95/mo. – $299/mo. Multiple storefronts cost $39/mo. plus a set-up fee of $49. Nearly all tasks impossible without hiring an expert, and training is needed to manage an Aptos store. No integrations without paid Zapier account. Mobile themes unavailable on Starter plan, forcing you to upgrade. Your plan will be increased when you reach sales thresholds, causing surprise fees. Your plan is determined for you based on sales, plus bandwidth and storage are not truly unlimited and can result in overage fees. 1% transaction fee if you use any payment processor other than "fortune3 credit card services with an approved discount rate equal to or higher than 2.9%." Only one eCommerce plan at $19.99/mo. None besides your monthly plan. Charges for support, which are not listed on website. Need for custom development and design is likely. HostGator has no built-in eCommerce software, so all costs and features depend on which you install and which hosting package you use. Free SSL expires after 1 year and must be paid to renew ($49+ depending on plan). Limited storage and bandwidth can result in overage charges. Transaction fees from 0.75% – 1.25% depending on plan. Plans are billed on 4-week cycle, not by month, resulting in shifting billing date and 13 charges per year. Likely to need custom design due to limited template selection. Limited payment integrations may make custom development necessary to serve your customers. Hosting and security sold separately through partners, for variable prices with potential for overage limits. Single annual plan available at $59/yr. None besides the annual plan, but outdated technology and heavy limitations will have you starting over elsewhere soon. Monthly plans from $29.95/mo. – $249.95/mo. You will be raised to the next plan if you exceed product or storage limits. Transaction fees from 0.5% – 2% depending on plan. Few integrations, requiring a paid Zapier account to access many needed tools. Volusion has a long reputation of hidden fees. Monthly plans from $500/mo. – $4,500/mo. Monthly transaction fees ranging from 0.5% – 2.5% (slightly less for certified stores). 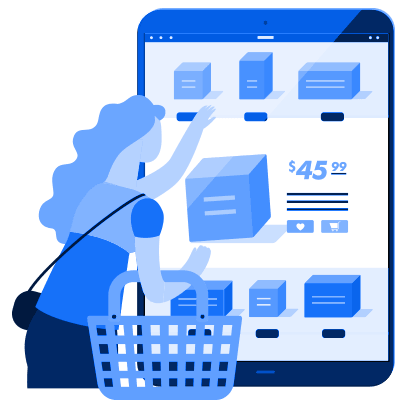 Like its physical counterpart, the virtual shopping cart feature is where people add products that they wish to purchase, creating an order. When customers are ready to place your order, they use the shopping cart to go through a checkout process. There, they provide personal information that enables the company to collect payment from them and ship the purchased item or items to them. Hosted eCommerce platforms typically provide payment processor integrations and shipping service options that online stores can use. Creating individual webpages for each product in their inventory gives businesses the opportunity to showcase them. These pages can include information that may influence the customer to order the product in question. This could include the price, a description, a list of features or uses, and images. The platform on which the website is hosted may provide options to include Q&A sections, reviews from customers, and other features. Unlike other types of eCommerce platforms, hosted ones take care of the website’s back-end — the coding that makes everything on the site work at all. Using a hosted platform frees store owners from worrying about this kind of maintenance and allows them to focus on optimizing the front-end. With that said, some eCommerce platforms may be trickier to use than others. Anyone interested in creating their own online store may want to test how easy it is to customize the site and perform different tasks. Related to “ease of use,” the term “learning curve” refers to the ease or difficulty one faces in learning the best ways to use an eCommerce platform. Software that people can quickly master has a gentle learning curve, while software that takes more time and effort to understand has a steep one. While platforms with steeper learning curves may not sound more efficient, they may have more features and flexibility. Store owners should be cautious about choosing a platform based on this, and realistic about how much time and resources their training will require. Hosted eCommerce platforms are increasingly focusing on responsive design. This refers to a combination of features that optimize websites so that they function well on screens of any length and width. The importance of this rests on the growing mobile market: more people than ever conduct their e-shopping on smartphones and tablets, which have different screen dimensions than the traditional computer. Choosing a platform without responsive design may cost businesses a substantial source of revenue. Data export features help site administrators organize an online store’s data into spreadsheets or CSV files. These tools simplify the process of virtually sending a large amount of site data from one place to another. If a business needs to transfer information about customers and products to a new version of their website, or if they need to back up their online store, they can use a data export. Start-up costs can be quite flexible depending on the eCommerce platform. While some have only one option with a fixed price, others may have a variety of payment plans, with the more expensive ones also coming with more features. Furthermore, the initial price for creating an online store with a hosted platform may or may not include initial licensing fees, set-up fees, and payment for any developers you hire to help you get your site started. When a business uses a hosted platform, they have to pay the host for access to their software. Depending on the plan they select, they must continue paying the host monthly or annually to retain that access. As part of this deal, the developers behind the hosted platform continue to provide customer support and technical maintenance when needed. Store owners should also make room in their budget for new features and new versions of the eCommerce platform. An eCommerce platform’s number of users simply refers to the number of active websites that make use of it. A high number of users does not necessarily indicate that the platform is high-quality. Many factors can influence this count, including — but not limited to — pricing, the availability of free options, marketing, and ease of use. Anyone trying to choose between several hosted platforms should view the number of users as just one of several aspects to weigh. is the best for your business? 3dcart is an all-inclusive hosted eCommerce solution that includes everything you need to run a successful online store, including advanced PCI-compliant security, 24/7/365 free support, and a full-featured eCommerce website builder. 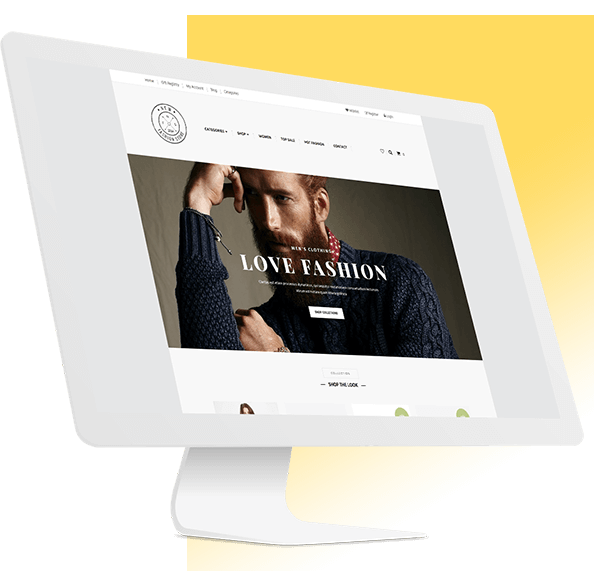 With 3dcart you can create a complete eCommerce website and include as many products, categories, and extra pages you need. A full set of marketing and SEO tools are included to help you reach your customers, and you'll also have access to a powerful order management and reporting system. 3dcart offers a 15-day free trial and a choice of low-priced plans that offer much more than competing hosted shopping cart platforms. AmeriCommerce may seem like an optimal platform based on the many features they offer. However, businesses that are trying to expand their reach may chafe at the solution’s inflexibility. They impose limits on bandwidth and disk storage, and anyone who dares to exceed them has to pay overage fees. Harsher still, they impose limits on how many different products you can sell. Anyone trying to enlarge their inventory must go for the most expensive plan they offer. A lack of after-hours customer support and long-standing issues with the programming are just two other ways in which AmeriCommerce limits what their clients can do. ShopSite is a bit different from other hosted eCommerce platforms because it outsources its web hosting to partners. Unfortunately, this makes their pricing structure inconsistent and their support spotty. You'll have to put a lot of time into choosing a web host, and since your hosting won't be managed by the same company as the ShopSite software, you may have trouble getting the help you need. ShopSite's eCommerce tools are also lacking, with no built-in reporting and weak SEO and marketing features. ShopSite's basic level of eCommerce functionality will slow your growth until you upgrade to a plan that includes better tools, and even then, it will not scale with your business. BigCommerce is a popular online store platform because it's easy to use and has no transaction fees. However, BigCommerce merchants often find themselves suffering financially in other ways: your plan pricing is based on your sales, and many BigCommerce users report an unexpected boost to a higher-tier plan that they couldn’t afford. The platform is also missing some key features and integrations that you'll need to pay for separately through apps. Successful, growing business often outpace the tools BigCommerce can offer and end up leaving for a more advanced (and affordable) platform like 3dcart. Volusion is known as a user-friendly shopping cart platform, but that also means it's very basic. It lacks the tools for long-term success and many successful online store owners reach a point where they need a more powerful platform. Volusion also charges a transaction fee on every one of your sales, which cuts into your profits, and your plan will be increased automatically if your revenue goes above a certain amount. Volusion also lacks many integrations, meaning you'll need a paid account with Zapier to access some of your favorite tools. And while Volusion has recently cut down on their added fees, they have a longstanding reputation of surprising their customers with extra charges. Big Cartel is a very limited eCommerce platform aimed specifically at artists and other creators. It's easy to use and very inexpensive, and there is even a Big Cartel free plan, so it's a natural choice for many new creators with a small inventory. However, Big Cartel has few choices for a serious eCommerce entrepreneur and is not scalable at all. Even the highest-priced plan only allows a maximum of 300 products, and there are limitations that affect both customers and merchants. There's no search feature, so customers can't search for products, and Big Cartel doesn't have built-in shipping calculations and only very minimal tax calculations. The simple fact is that you can get a Basic tier $29/mo. 3dcart plan and immediately access more features, more integrations, more payment methods, and more selling potential than you get with Big Cartel's $29.99/mo. plan. GoDaddy is well-known as a domain name registrar, and secondly as a web host. GoDaddy also offers a rudimentary eCommerce plan that has become popular due to brand recognition and quick setup. However, GoDaddy online stores are only suitable for beginners, and provide neither the features nor the functionality to grow and support a successful business. You can add up to 1,500 products, but your store will start slowing down noticeably before you reach this limit, to the point that GoDaddy makes note of this in its own disclaimer. Serious online merchants will soon find GoDaddy short on options, since it has few integrations and only three payment gateways. Customization of your online store also falls short, as you can only make minor changes, which causes problems for branding and for building your eCommerce website the way you want. There’s no denying Aptos Retail is huge, and has some impressive clients under their wing. But is it really the right choice for your business? If you’re ready to step into Enterprise eCommerce, you’re aware of the importance of smooth operations for all aspects of selling, whether online or in-store. The simple fact is that Aptos Retail tries to collect so many features, in such a huge platform, that your business could collapse under its own weight without constant help or vast technical knowledge of your own. And with the extra costs typically incurred by Aptos Retail clients, you’ll find the price skyrocketing quickly. Ashop is a simplistic eCommerce platform with too many limitations. Every plan has storage caps, limiting the number of images you can add to your site and product pages, and there are no integrations with any other apps or software — you'll need an account with a third-party service like Zapier to connect Ashop to crucial business apps like QuickBooks or marketing services like MailChimp. And while Ashop may work for a brand new small business, many important features are locked behind the Professional plan tier which may not be affordable for a startup. Large businesses run into the opposite problem, as even the Enterprise plan is lacking many important features and capabilities. You simply get more for your money with 3dcart, regardless of business size. If you're looking for a top-of-the-line eCommerce platform to give your online store all the advantages, fortune3 will not serve your needs. Everything from their admin dashboard to their store themes are lagging behind the times, and customers report a poor experience on mobile devices. Low product limits plague their pricing models, and business owners who want to switch away from fortune3 often have a hard time canceling their account. Not to mention fortune3 splits its admin across two separate dashboards, the "Store Builder" and "Administration Panel," and you can manage your inventory from both — but your edits don't carry over from one to the other. If you make a mistake and add a product through the wrong dashboard, this can become a hopeless mess very quickly. Support is also known to go dark for long periods of time. GoECart targets merchants seeking a quick way to build an omnichannel online store at Enterprise levels, but their customers often report poor and frustrating results. GoECart tends to overpromise and underdeliver, according to numerous customers who discovered that promised features would actually take expensive custom development. And that's not all that's expensive: GoECart offers two plans at quote-only prices that usually come out around $1,000/mo. and $1,600/mo. and charges extra for support beyond a basic level. None of their prices are visible on their website, and they do not provide clear information regarding the full features and capabilities of their platform. GoECart is simply too uncertain, too expensive, and too limited for a business when there are better, cost-effective, and more transparent options out there. SiteCube is a website builder with included hosting for a low price of $59 per year. However, it's just not made for eCommerce. You're limited to 100 pages total, and can sell no more than 1,250 products in 25 categories. And while this might be enough for a brand new small business, SiteCube's infrastructure will hold you back. There's no dedicated product page or shopping cart functionality, no order management, and no method for interacting with customers. The SEO is also outdated and will make it hard for customers to find your store. Overall, SiteCube offers only minimal eCommerce features and will make it difficult to run and grow your business. Even the newest, most financially-limited startup has better options. VTex may seem tempting to small businesses and up-and-coming entrepreneurs because it is a powerful platform. Unfortunately, they seem to center their business model on larger more established companies. The minimum monthly rate for their services is a whopping $500, significantly higher than even some of the premium plans that other platforms offer. In exchange, they take a piece of the profits from your sales — a less-than-ideal for a large business, and a severe hindrance for a smaller one. These vexing excesses make VTex a textbook example of exactly what to avoid if you’re just getting started.